Fairfield Masonic Lodge members Jack Erickson, Casen Doherty and Gabriel Martin worked the grill at the lodge’s all-you-can-eat pancake breakfast. 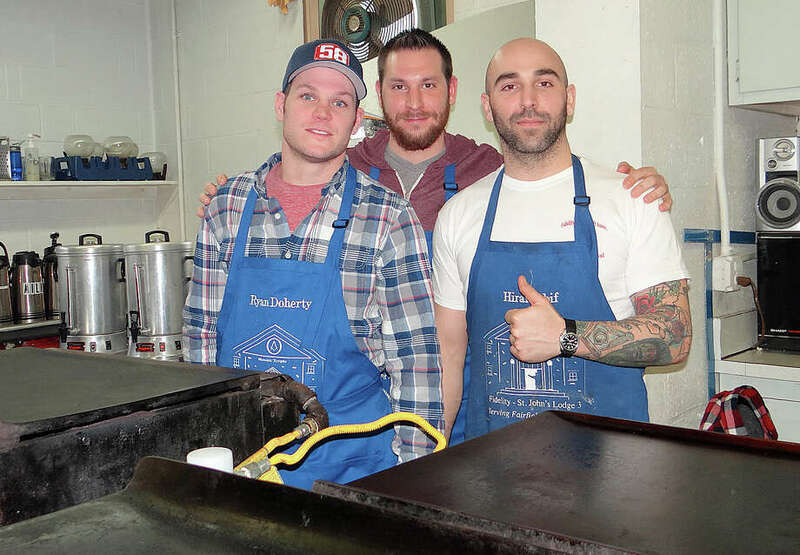 FAIRFIELD — The breakfast crowd flipped out for the bountiful all-you-can-eat pancake breakfast at the Fairfield Masonic Temple last Saturday. The flapjack feast, in addition to pancakes, included sausage, juice and coffee served up by members of the Masonic lodge in their Beach Road home.